No steps needed to revive her, she's already there in your team. Check the notes section for glitches/more information. Should be easy to put together. Compile the flevel lgp with Aali's tools, Unpack Char.lgp and add in my new stuff and replace the Kernels - Only replaces the Umbrella with new weapon, gained through new side quest. If your not interested, then you don't need to use them. You CANNOT, REPEAT, CANNOT mix and match Kernels and scene.bins. Things will go mental. You NEED to add the new models and animations from me, otherwise the patch won't work in some parts. 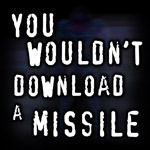 In fact, you won't be able to finish the game. Sorry to be a bit cheeky (as I've posted a similar post on another thread) however does this patch work with the Phoenix Rejuvenation Project? Thanks all. It does, yes. My new model is only the HRC, so it'll still load any new models you put in char.lgp. *If you apply the patch after the Forgotten Capital/The Funeral, you will manually have to unlock Aeris using Black Chocobo. I only added one check straight after she dies. *Vincent's theme may play during her funeral. No idea why, but it's not much of a problem. Will get fixed eventually. *During the final battle, you will have to sacrifice one character if you want Aeris in one of your 3 teams. The game is limited to making two teams of 3 and one team of 2. Nothing I can do about it, I'm afraid. I've read about someone replacing Aeris as the main character a long time ago. Really looking forward for your work!! However when I think of the flashback of Cloud and You'll have Aeris with Zack instead. Hmm maybe it will be kind of a love story with Zack protecting Aeris until Midgar. haha Good Luck dude. It was probably me, I've started and stopped this a few times, and done it in a few ways. ...Is anybody actually interested at all? I bet it would be interesting if I imported a new model, seems thats all anyone cares about nowadays. I am quite interested!! And yeah if you import a new model it would be much greater too. I bet it would be interesting if I imported a new model, seems thats all anyone cares about nowadays. Hey, that's not true! I also care about imported new field and battle backgrounds, difficulty mods, and translations! To be honest, while this mod would be cool, I probably wouldn't use it, simply because Aeris's death is one of my fondest memories in gaming. Just wouldn't be the same if she didn't die, ya know? That sounds kinda horrible doesn't it haha. That's just me though, I bet others would love this. Would this be automatic? like she just isnt taken out of your party selection? or will there be a trigger.? I like how it sounds. The more controlable chars, the better ! Well I'm interested. I've accepted that she's supposed to die, but it's nice having another character choice to play as. Keep it up! Are you going to re-work the videos and event scenes so that she doesn't actually die in the story too? Obvious solution is to cut the video short so that Cloud doesn't lay her to rest. Then leave her in your party with 0 HP. Needs a phoenix down. This is interesting but will be hard because ultima espio will have to mod pretty much most of the flevel files. Anyway Ultima how are you planning to do with the Forgotten City scenes? The one when Sephiroth kills Aeris and the scene with Bugehagen before Diamond Weapon will screw up madly if Aeris is alive. I think it will be the hardest part of this project. I don't know how to insert Aeris back into the party but I can add Aeris models into specific flevel files such as inside Highwind, Sector 8 Underground or the final Northern Cavern, if you need my help. Yeah?? Are you going to edit the field model there too or you're going to swap someone like caith sith or you'll not change anything just revive her and see her in the highwind?? I think you should use the Aerith's ghost scene in the return to the church to trigger her return to the party. IMO it's the most logical place to find her and explain why she has returned. Well yeah this is the best scene to have Aerith return to your party. Damn forgot about that one. Problem is, that could backfire, since you see the "ghost" as early as when Tseng kidnaps her, so if you've done that first, she'll end up in your party while you go to save her, and then later in the game you wont be able to get her back because the ghost will be gone. or mod the burial scene somehow, cut it short or something, and have it something like "OH MY F**KING GOD, SHE'S ALIVE, BREAK OUT THE ELIXERS AND LETS PARTY!!!" You know what might be a good idea, if you can include a selection screen as to whether or not she is revived. This way the patch can be applied to everyone's game, but you can choose whether or not you want her to be revived.